Map Design in Tan and Black. Framed Gallery Wrapped Set. Hand Painted Embellishment. D-Ring Bracket for Hanging. 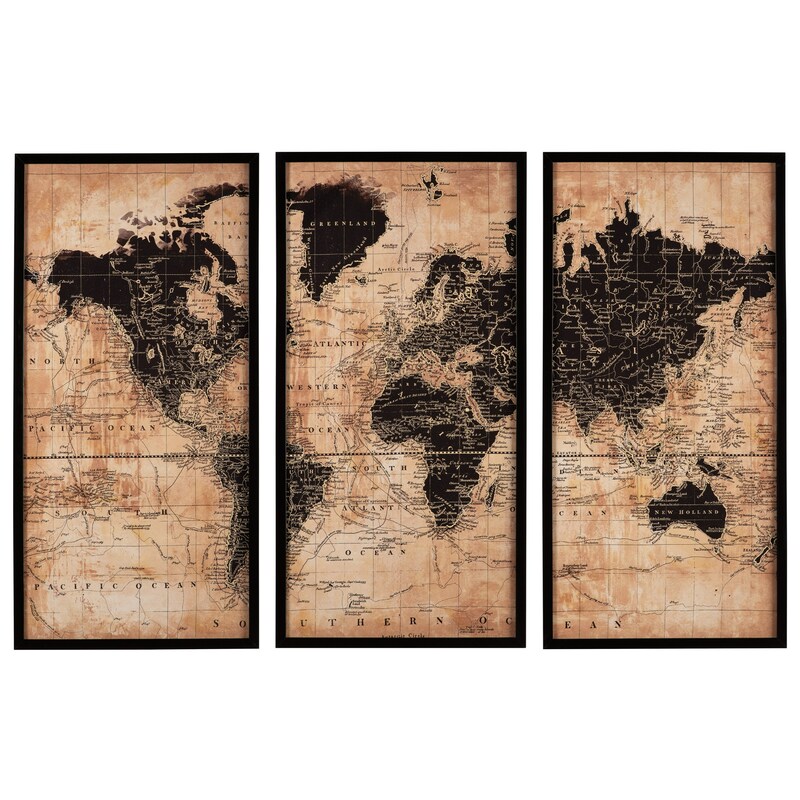 The Wall Art Pollyanna Tan/Black World Map Wall Art Set by Signature Design by Ashley at Lapeer Furniture & Mattress Center in the Flint, Michigan area. Product availability may vary. Contact us for the most current availability on this product. Dress up your walls with one of the pieces from the Wall Art collection. With a range of styles and themes, you will be sure to find a look that fits your decor. The Wall Art collection is a great option if you are looking for Accents in the Flint, Michigan area. Browse other items in the Wall Art collection from Lapeer Furniture & Mattress Center in the Flint, Michigan area.